Lovely ground floor modern Maisonette in Broadstairs, 200Metres from sea front. Property 5: Lovely ground floor modern Maisonette in Broadstairs, 200Metres from sea front. Property 6: Stunning coastal views! Stunning seaside bijou apartment completely renovated and refurbished. Property 7: Stunning seaside bijou apartment completely renovated and refurbished. Stunning and peaceful Penthouse Apartment with Sea Views from all windows. Property 8: Stunning and peaceful Penthouse Apartment with Sea Views from all windows. Fantastic barn conversion with two round rooms! 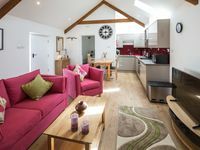 Property 12: Fantastic barn conversion with two round rooms! Chestnut Apartment in Cotswold village of Bourton. Property 14: Chestnut Apartment in Cotswold village of Bourton. Property 26: ‘Glorious Goodwood' & Central Chichester Location! Self Contained Apartment With Stunning Rural Views Near York. Property 30: Self Contained Apartment With Stunning Rural Views Near York. An immaculately presented, bright, ground floor apartment, parking & small enclosed garden. Property 32: An immaculately presented, bright, ground floor apartment, parking & small enclosed garden. Property 39: Amazing barn conversion! Enjoy panoramic sea glimpses from this Penthouse apartment, less than a 1-minute stroll to shops. Property 41: Enjoy panoramic sea glimpses from this Penthouse apartment, less than a 1-minute stroll to shops. Property 43: Comfortable and spacious apartment in the heart of the Peak District. Contemporary apartment with parking, lift and balcony, close to seafront & town. Property 49: Contemporary apartment with parking, lift and balcony, close to seafront & town. We had a lovely week in Janice &amp; Mike&rsquo;s Chestnut Apartment. It was very cosy, lovely and warm and very well appointed, with everything you could possibly need. Comfy beds, nice linen and thick towels. 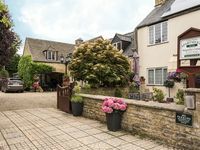 Situated on the edge of the village, a 5 minute stroll out of the gate and you are in beautiful picturesque Bourton-on-the-Water. Photos don&rsquo;t do it justice! Lots and lots of lovely small quality shops, incl antiques, rustic old pubs and plenty of coffee shops and restaurants, a motor museum and even a fish &amp; chip shop (delicious) eat in or out. So many well sign posted footpaths to surrounding beauty spots. Janice and Mike couldn&rsquo;t have been more welcoming and helpful. We will certainly stay with them again. We were very lucky and had lovely weather for our country walks. There is also a good bus service to surrounding villages. Thank you Janice &amp; Mike for our lovely stay.